National CPR & AED Awareness Week is coming June 1-7, 2012. "Celebrate National CPR & AED Week by hosting an American Heart Association CPR class at your company's site." The first week of June was designated by Congress to observe National CPR & AED Awareness Week. Bay Area companies can help promote this program by offering CPR and First-aid training classes to their San Jose employees during the month of June. The American Heart Association offers CPR and First-aid certification classes in Santa Clara County or the CPR courses can be taught directly at a company’s location. The importance of being trained in American Heart Association CPR & First-aid cannot be stressed enough. According to the AHA, less than 8 percent of the people who suffer SCA (sudden cardiac arrest) outside of a hospital survive. The reason for the low success rate is less than one third of these victims receive bystander CPR. If these victims had received high quality bystander CPR in San Jose, the success rate of their survival would double or even triple. It is the responsibility of Bay Area companies to train their staff in CPR and First-aid in case of a life-threatening emergency. Does your Bay Area company own an AED (automatic external defibrillator)? 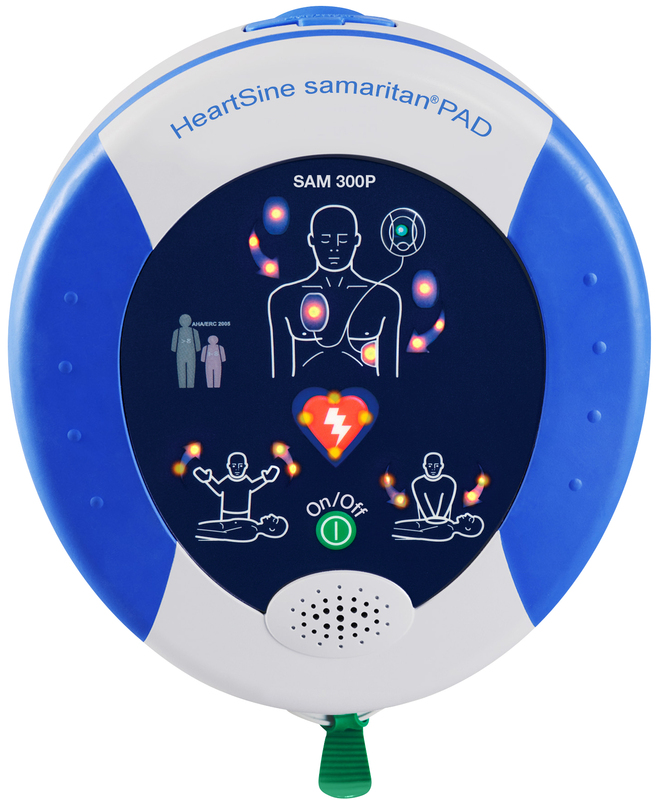 If not, June would be a great month to purchase one and start the AED program on the worksite. CPR and defibrillation must be provided within the first few minutes of collapse for the best chance of survival. If the defibrillation shock is delayed, the chance of the victim’s survival is delayed. Unfortunately the response time for an ambulance to arrive at the scene in the Bay Area is over 10 minutes. And for every minute that defibrillation is delayed, the survival rate drops 6-10%. It is a company’s responsibility to protect their staff in case of a CPR emergency. Defibrillators are very simple to use and their prices have dropped a lot over the past few years. An AED now costs about $1200. As most people already know, the steps of CPR have changed, so now is a good time to learn all the new methods of how to save a victim who is choking. how to perform CPR properly, and how to use an AED (defibrillator). The American Heart Association has a 3 hour CPR course which teaches employees how to perform CPR on adult, children, and infants, how to save a victim who is choking, and how to properly use a defibrillator. Learn American Heart Association CPR at your worksite before it is too late.